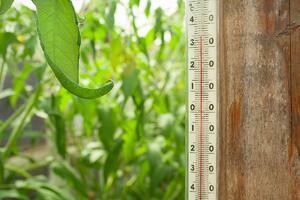 Properly managed temperature and humidity are key factors in helping plants to thrive in a greenhouse setting. In the absence of proper controls, however, these same factors can undermine plant health and erode yield. As part of an environmental management system, automated controls can help to ensure that these key variables stay within the appropriate parameters. Growers can leverage controls including sensors, timers, and remote management apps to implement an effective automated regimen around both heat and moisture. Temperature and humidity are make-or-break factors in a greenhouse grow and must be carefully regulated. “Greenhouses are designed to trap the heat from the sun. If nobody changed anything, the temperature would keep rising until the sun went down,” experts note. Humidity is closely tied to temperature: The warmer the air, the more moisture it can hold. Many plants can tolerate a humid environment, and some require it to thrive, but too much moisture in the air poses a risk. As the air cools, condensation takes place, and water droplets form, which may then promote germination of fungal pathogens and spread disease. The growers’ task, then, is to balance the twin factors of temperature and humidity. The ultimate aim is to give plants the warmth they need without creating the kind of saturated atmosphere that can lead to fungal outbreaks and other damage. Simple timers and manual controls can help to establish a baseline of greenhouse management, but automation offers a way to organize operations at a more detailed level. With the right combination of tools, experts say, “It’s possible to automate most of the recurring events in your plants’ lives, letting you focus on the parts of growing that you enjoy.” Automating variables such as air flow, heating, cooling, and humidity can free up a grower’s time while simultaneously driving healthier, more productive crops. The grower can interface with the controller to make adjustments as needed. This might, for example, mean adjusting the temperature, engaging a dehumidifier, turning supplemental lighting on or off, or turning on a fan to better manage humidity. The grower can leverage all these components in order to effectively automate the greenhouse to increase or decrease environmental condition inputs automatically in order to maintain an optimal growing environment. With this ideal baseline established, the grower can automate further by building in triggers to kick in any time conditions begin to deviate from the norms. If temperature rises beyond a certain threshold, for instance, or if humidity hits a certain key percentage, the system could be empowered to automatically send an email or text alert, while the controller could be enabled to automatically take corrective action. Of course, a grower must be diligent in other areas in order to maintain the delicate balance between heat and moisture. Proper watering is key. Plants must be adequately spaced. Well-drained floors are essential, as is a robust air-circulation system. All these mechanical considerations should be taken into account when setting up a greenhouse, and the grower should revisit these items periodically to ensure that conditions have not changed. Once these fundamentals are taken care of, though, automation offers an important next step for those looking to promote optimal plant development. More than just ease and convenience, automation offers a means to take the guesswork out of greenhouse farming. Modern control systems compile and track data over time, enabling the grower to pre-set for those parameters that yield the most consistently successful results. An automated system also offers a predictable way to test new combinations, adjust the timing of various processes, and make incremental changes as conditions evolve over time. In the effort to maintain a happy equilibrium between temperature and humidity, automation offers growers a cost-effective tool to simultaneously simplify operations and increase agricultural yield.